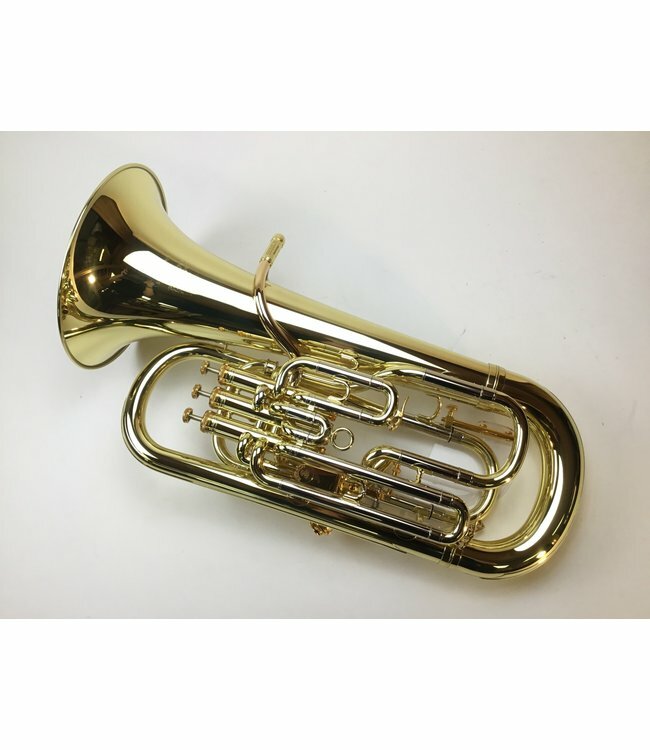 Used Demo Besson BE2051-1 Euphonium in lacquer with case. 11” upright bell and 3+1 compensating pistons of .590/.650” bore. Main tuning slide trigger and valve caps are gold plated to give subtle accent to the lacquered yellow brass finish. Classic 11” bell for the original Besson sound but updated with gold brass leadpipe and a main tuning slide trigger system. Takes large shank mouthpiece. Some minor scratches to the lacquer finish in the bottom bow area.